Pennsylvania’s Mohegan Sun Pocono casino and the Kindred Group, based in Malta, have announced a new “strategic partnership” for the state’s gambling expansion opportunities. The two groups said in a presser that the agreement is good for five years, with the option for 5-10 additional years. The deal marks Kindred Group’s (formerly Unibet Group) path for entry into the Keystone State. The company is also moving through the regulatory process in Garden State for online gambling through a partnership with Hard Rock AC. Kindred Group is seeking both online and land-based sports betting in Pennsylvania, as well as online casino gaming, according to the presser. Mohegan Sun is not seeking to offer peer-to-peer online poker. The operator also offers online casino games in New Jersey, through a partnership with Atlantic City’s Resorts casino. Its NJ online casino, which is powered by SG Digital, launched in 2015. Mohegan Sun gave a presentation to the Pennsylvania Gaming Control Board in November, which is the most recent public discussion of its sports betting and online casino plans. The Unibet brand will also be utilized in PA. There will be a Unibet sports betting lounge at Mohegan Sun Pocono, located in Wilkes-Barre, Pennsylvania. The location of the sportsbook reportedly hasn’t been finalized yet. The casino is reportedly eyeing an opening in time for the upcoming NFL and college football seasons. 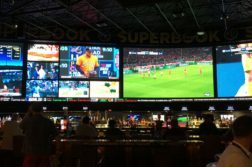 Though the casino is a relatively small one in the Pennsylvania gambling hierarchy, Mohegan Sun has found a world-class partner for sports betting, which PA charges a $10 mm license for. 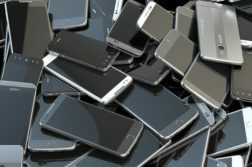 “We’ve aligned with one of the best online casino and sportsbook operators in online regulated markets which will allow us to offer best in class experience to our existing customers as well as attracting new ones”, said Aviram Alroy, VP Interactive Gaming at Mohegan Gaming and Entertainment. Kindred Group said it will “continue to invest in growing its US operations where market conditions support a sustainable business model.” Expect more partnerships for the group. 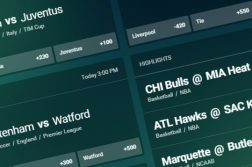 Believe it or not, Kindred already has close connections to Pennsylvania sports betting. Kindred and the Kambi Group, the latter of which powers several existing Pennsylvania land-based sportsbooks, have long been business partners. The firms currently have a sports betting deal in New Jersey. Kambi is a spinoff of the Kindred Group. Kambi also has a sports betting deal with DraftKings, which has a deal with Resorts Casino in New Jersey. As one can see, there’s a lot of overlap in the emergent U.S. online betting market. Pennsylvania sports betting didn’t kick off until November, so the industry is still in its infancy. There’s also no mobile betting yet, and online casinos have yet to launch. New forms of gambling are intended to help the state’s casino market. The state’s 12 casinos won a combined $3,248,681,377 from slot and table game gamblers last year, up just 0.67% over 2017. Revenue hasn’t grown much over the past handful of years. A full year of Pennsylvania sports betting, with more books opening and mobile platforms launching should make 2019 a record-shattering year for the state’s casino market. Online casino could be delayed, however, thanks to regulators adjusting to a new federal interpretation of the 1961 Wire Act.